To claim this profile, please confirm you are Brandi Fuller. To follow this profile, please let us know your relationship to Brandi Fuller. RESULTLoss Girls varsity basketball @ Big Horn. The Wright varsity basketball team lost Saturday's away playoff game against Big Horn (WY) by a score of 32-30. This game is part of the "2018-19 2A East Girls Regional Basketball Tournament - 2A East Girls". RESULTWin Girls varsity basketball vs. Sundance. The Wright varsity basketball team won Friday's home playoff game against Sundance (WY) by a score of 46-41. RESULTLoss Girls varsity basketball vs. Niobrara County. The Wright varsity basketball team lost Thursday's home playoff game against Niobrara County (Lusk, WY) by a score of 42-33. The Wright varsity basketball team lost Friday's away conference game against Big Horn (WY) by a score of 58-45. Brandi's basketball stats have been updated for the win @ Moorcroft. RESULTWin Girls varsity basketball @ Moorcroft. The Wright varsity basketball team won Saturday's away conference game against Moorcroft (WY) by a score of 47-34. Brandi's basketball stats have been updated for the win vs. Sundance. The Wright varsity basketball team won Thursday's home conference game against Sundance (WY) by a score of 45-34. Brandi's basketball stats have been updated for the win vs. Shoshoni. RESULTWin Girls varsity basketball vs. Shoshoni. The Wright varsity basketball team won Saturday's neutral non-conference game against Shoshoni (WY) by a score of 32-19. Brandi's basketball stats have been updated for the win vs. Wind River. RESULTWin Girls varsity basketball vs. Wind River. The Wright varsity basketball team won Saturday's neutral tournament game against Wind River (Pavillion, WY) by a score of 36-32. 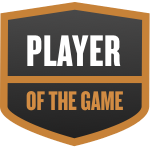 Brandi was selected the Player of the Game in the basketball game against Moorcroft on Sat, Jan 19 2019. RESULTWin Girls varsity basketball @ Kaycee. The Wright varsity basketball team won Saturday's away non-conference game against Kaycee (WY) by a score of 55-15. RESULTWin Girls varsity basketball vs. Big Horn. The Wright varsity basketball team won Friday's home conference game against Big Horn (WY) by a score of 49-47. Brandi's basketball stats have been updated for the win vs. Moorcroft. RESULTWin Girls varsity basketball vs. Moorcroft. The Wright varsity basketball team won Saturday's home conference game against Moorcroft (WY) by a score of 44-40. Brandi's basketball stats have been updated for the win @ Sundance. RESULTWin Girls varsity basketball @ Sundance. The Wright varsity basketball team won Thursday's away conference game against Sundance (WY) by a score of 61-35.